With Fallout 4 going gold last week ahead of its November 10 release on PlayStation 4, Xbox One, and PC, Exophase has revealed the full Trophy list. 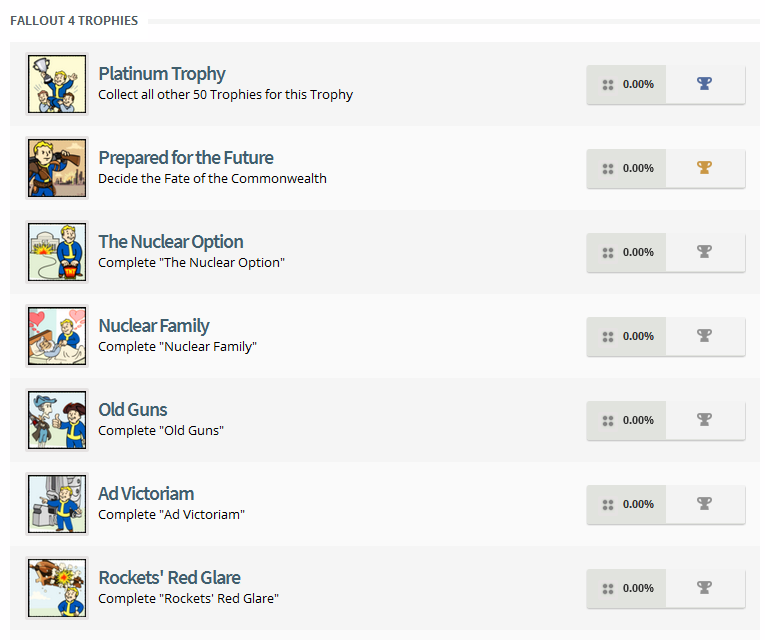 Filled with potential spoilers, the Trophy list for Fallout 4 contains 50 Trophies plus a Platinum, with just one Gold to collect. It appears the majority of Trophies will be unlocked through completing missions and just playing through the game. You can check out all of the Trophies in the gallery below. Will you be going for the Platinum in Fallout 4?